Career Builder surveyed companies to discover that more than half of them reported bad hires within the last year, costing them between $25,000 and $50,000. 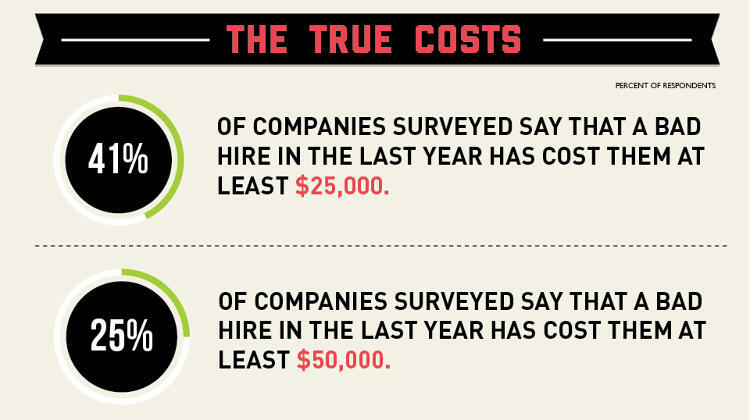 How do you measure the impact of bad hires? And how will you stop them? When considering that Building Talent’s benchmarking process returns a 95% accuracy rating on hiring a top performer, the investment in training yourself or your team to be talent matching experts is a no brainer!